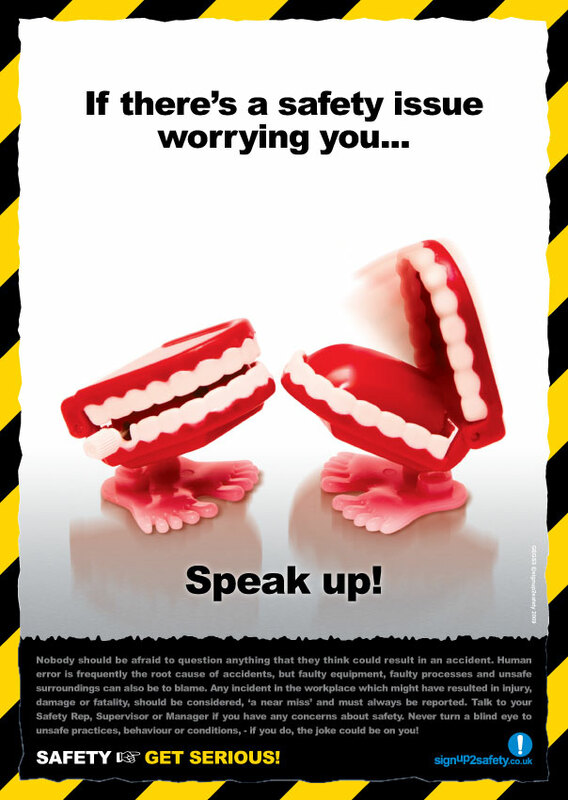 If there’s a safety issue worrying you… speak up! Nobody should be afraid to question anything that they think could result in an accident. Human error is frequently the root cause of accidents, but faulty equipment, faulty processes and unsafe surroundings can also be to blame. Any incident in the workplace which might have resulted in injury, damage or fatality, should be considered, ‘a near miss’ and must always be reported. Talk to your Safety Rep, Supervisor or Manager if you have any concerns about safety. Never turn a blind eye to unsafe practices, behaviour or conditions, – if you do, the joke could be on you!